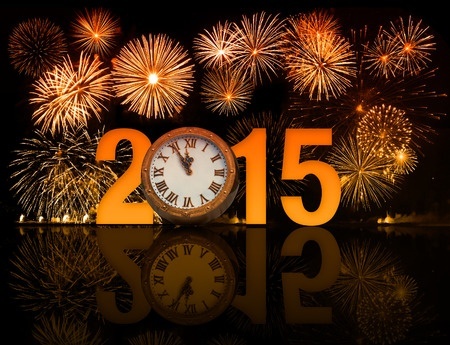 What’s your 2015 One Word Theme? Every year a group of friends and I select one word themes for the upcoming year. My theme for 2014 was “Growth”. Yesterday, I sat down in a chair and proceeded to read my “Business Journal” (everyone should have one by the way!) and was amazed at how far I had come during 2014. Looking back on last year, there was definitely a lot of growth but more in the form of maturity and getting the ground solid underneath me. Whenever I took an action on my business, I asked myself: “How will this make me and my business grow? Is this something that’s going to help me for future growth?” I focused on the areas that I wanted to get stronger at. I even invested in a year long mastermind program! The biggest “growth” turning point was looking at my business activities and and turning down invitations to networking events because it wouldn’t serve my business and the growth that I wanted for KR Design. I wanted to continue on the momentum that I had built for myself and it finally hit me what my 2015 theme would be: “Build”. 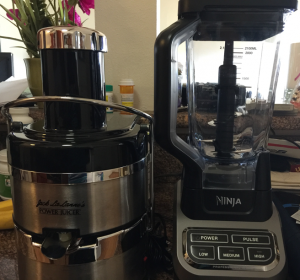 My 2 favorite kitchen appliances that are contributing to my fitness goal! The best part of my one word theme for 2015 is that it can be applicable to other parts of my life, not just business. One of my goals for a LONG time was to be in great fitness shape. I did track in high school and college and kept working out after college. When I played women’s professional football, I weighed 172 pounds and could max out on bench press at 235 pounds. After I got married, it became a struggle for me. I couldn’t work out consistently and balance my fitness life with my entrepreneur life. Earlier this year, I started meeting my husband at the gym and made him my accountability partner. That worked out well and I was finally seeing the results that I had wanted to for so long. I couldn’t run as fast I wanted and definitely wasn’t shape for football agility drills but I was making progress. To to build my body back in shape and give myself momentum for the new year, I did a fitness cleanse and lost 11 pounds! I’m really excited about my one word theme for 2015: “Build”. I”m really curious to know how my building will affect my business, my relationships, my personal life, and those around me. The big difference for this year and last year is that I’m taking it one month at a time, one week at a time, and one day at a time. Breaking down different tasks that I have planned for the year into small bite-sized actions that I can do every day that allows me to see the progress I’m making towards my goals and plans. So, what’s your one word theme for 2015? Comment below and let me know! Great idea better than a new years resolution! I started a new job as Head Gardener in March 2014 and it’s been a exciting challenge, really looking forward to completing a full year and moving on with the next! After some soul searching I have chosen “tenacity” as my word for 2015. Tenacity – Strength of purpose and determination, patience and resilience. Wow! What a one word theme! Sounds like you’re on to something Stephen! I love this post! I was reflecting on my word for 2014, and mine was courage. My word for 2015 is growth! I’m excited for this year as I start my new career as an entrepreneur! Good luck to you too! Aww…thank you Lianne! That’s a great one word theme to have! I help people find it. That sounds great Patti! Sounds like you’ve really nailed it! I really enjoyed reading this post! I would say my word for 2015 is Invigorate. I want this year to be full of invigorating experiences…from my personal life to my business. Its even part of my blog name! Also, what is a business journal? I want to have one! KR Design, thank you! My word is “Relationship.” That is what I do, build relationship between parent and child for lots of benefits.